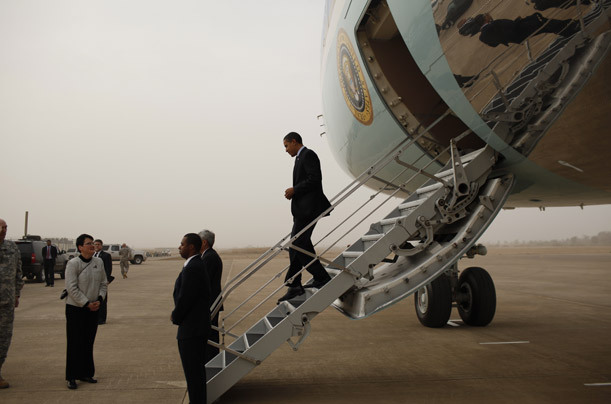 The President arrives in Baghdad in early 2009. On a trip to Cairo in June 2009, he declared, "It is easier to start wars than to end them. It is easier to blame others than to look inward, to see what is different about someone than to find the things we share. But we should choose the right path, not just the easy path."